If you are looking for a home to buy with an FHA home loan and are among the growing number of Americans working in the gig economy, you may wonder if your income is acceptable to a lender. July 16, 2018 - If you are looking for a home to buy with an FHA home loan and are among the growing number of Americans working in the gig economy, you may wonder if your income is acceptable to a lender. This is a common fear amongst freelancers, gig economy or contract employees, and those who are considering the jump from traditional employment to gig work. FHA loan rules do not automatically rule out a borrower’s income just because it is from contract work, 1099 employee work, etc. But FHA loan rules do require the borrower to have income that is considered stable, reliable, and likely to continue. 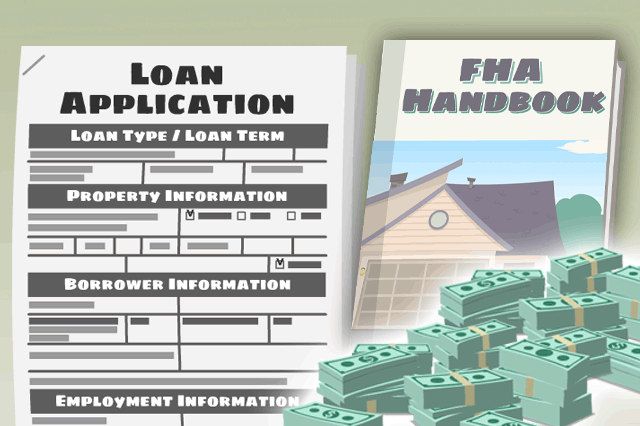 Before looking at the FHA loan rules in this area, it is crucial to point out that lender standards can and often do apply in addition to these rules. Your participating FHA lender will be able to explain to you how that financial institution views your freelance, contract, 1099, or other income above or in addition to what is required by the FHA. In general, FHA loan rules require the lender to verify 24 months of employment, though not always with the same employer. If you go into business for yourself, go freelance, become a consultant, or become an 1099 employee, that 24 month period gets a bit complicated. That’s because you, as someone in business for themselves, must be able to show that your self-employment, freelance, or contract work will be a steady source of income so you can afford your loan. An FHA mortgage loan could require you to show 24 months of reliable income as a self-employed person. Your lender will require tax documents, profit-and-loss statements, and other documentation. The lender needs to see your income patterns; any upward mobility indicated by your new career or change in career as a more non-traditional employee will help. The nature of your work will also be a factor. Are you making a lateral move as a consultant with the company you formerly worked for as a traditional employee? Depending on the lender, that may carry some additional weight when it’s time to justify loan approval. But if you go into business for yourself and your income history shows a drop in income, or if you haven’t been in business for very long, it may make sense to delay your FHA mortgage loan application until you have more time on the clock in your new career, and a longer history of income stability to show the lender. It is not impossible to get a lender to look at your FHA mortgage loan application data with less than 24 months as a newly-minted gig economy employee, but it can be more challenging for the lender to justify the loan unless other factors are working in your favor such as increasing income over the period of your new vocation or the ability to demonstrate that this move is otherwise stable.